This was the second time we took him to his Pediatrician for his monthly check-up where he got five vaccines. The first time was, when he was 2 months old. He did pretty good and didn't get fever at all. In fact we were able to travel and visit my mom-in-law the next day. My baby was turning 5 months old in a few days when this photo was taken. His big brother came with us along with my husband, since his big brother had only a half day of school. When we came, we were greeted by friendly nurses of the clinic. The nurse that will be taking care of him led us to the room we will be using. In the room, the nurse told me to take away the baby's clothing and leave a dry diaper on. She was going to do some measuring work. Among the things she measured was the baby's height, weight and head circumference. She then input the data in the computer and compared the baby's measurements with his last exam two months ago. Everything went well and my baby was progressively growing healthily. He was measured 25 1/2 inches tall and weigh 17 lbs. Babies really needs some utmost care and constant checkup and that's good. Good job on the baby. It's always a challenge having babies face the doctors. I miss those times that I am so thrilled to know the updated status of my son whenever we go to the pedia. those are the ways too to keep them healthy and been monitored with their pedia. They'll undergone these vaccination for their health. Nice they're thrilled for check-up. 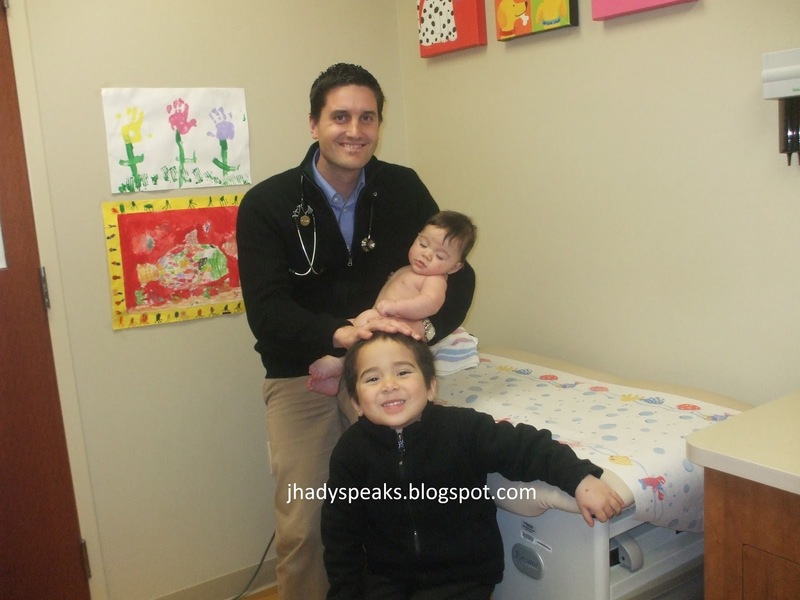 Its always good to have your babies check for them to be healthy plus the doctor is also good looking - win win haha! It's also nice to note that your baby is growing healthy. I would love taking my kids to that good looking doctor lol. It is so heartbreaking when they get their shots and they cry and scream ano?